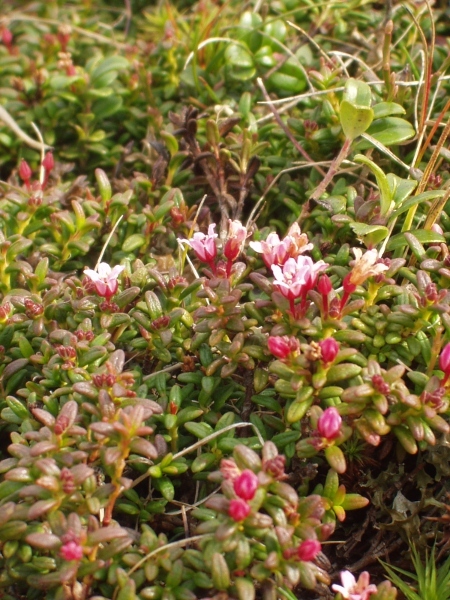 Synonym | Loiseleuria procumbens (L.) Desv. 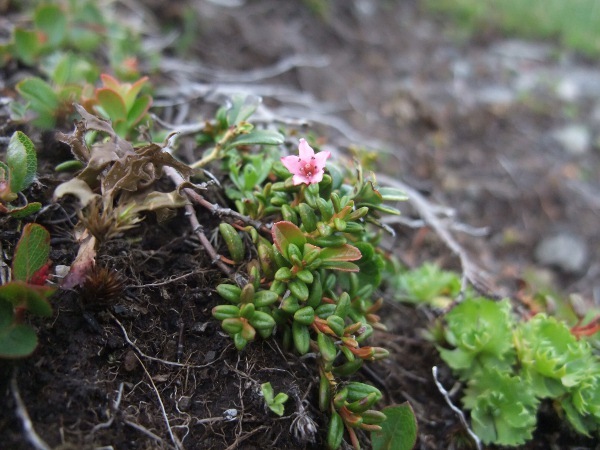 Kalmia procumbens is an Arctic–Alpine species that grows in the Highlands and islands of Scotland. Kalmia procumbens has opposite leaves and small, pink flowers with 5-lobed corollas. 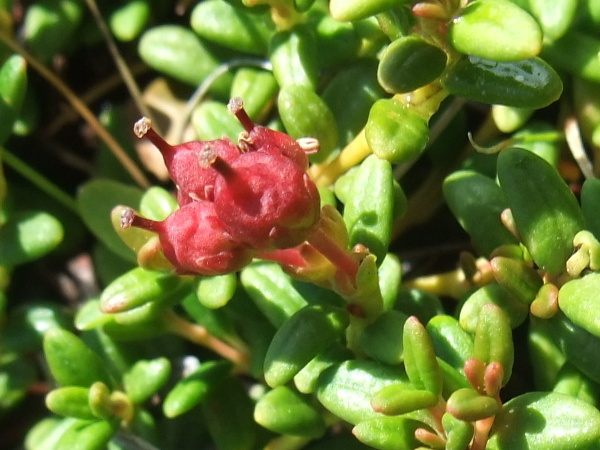 The fruit of Kalmia procumbens is a small, red capsule with the stigma persisting from its tip.